Well blended flavours and fragrances of stone fruits like plum, or prune, with a great lingering finish. This winegrowers family has origins dating back to 1650. Since then, generation after generation, every Giraud accomplished the same gestures for almost 4 centuries, thus building invaluable heritage and expertise. 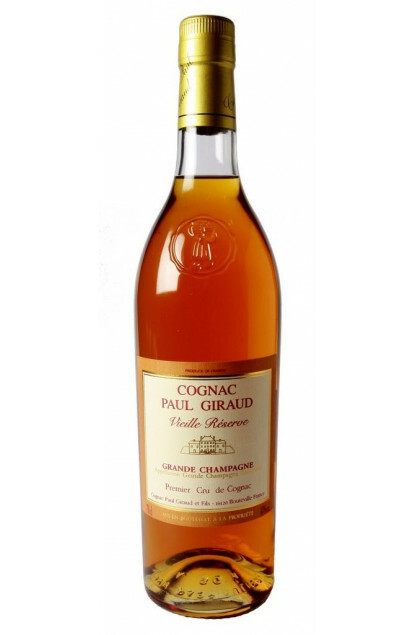 Their vineyards have a total surface area of 35 hectares and are both located on Premier Cru from the cognac region Grande Champagne territories, which is right at the top of Cognac quality rankings. The family’s vineyards are located next to the Montmorency-Bouteville’s castle, a famous French family, close to the French crown, in Bouteville and Saint-Même, two villages renowned for their calcareous soils. The harvest is done by hand. Their Cognacs, some of which are more than 50 years old, age in barrels made in oak from Limousin, in humid wineries, which is an optimum ageing trait sought by Cognac professionals.